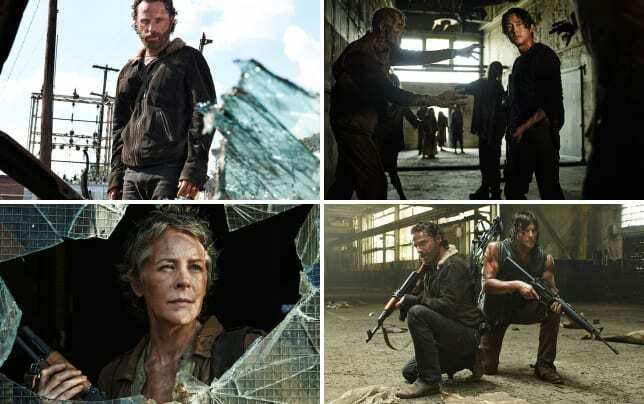 With a midseason finale of The Walking Dead, you had to know something major was going to happen. On The Walking Dead Season 2 Episode 7, zombie Sophia stumbled out of the barn to meet a final bullet from Rick. On The Walking Dead Season 3 Episode 8, there was the assault on Woodbury followed by Daryl’s capture. And on The Walking Dead Season 4 Episode 8, Hershel and the Governor were killed. So just with the way The Walking Dead Season 5 was leading up to The Walking Dead Season 5 Episode 8, I had a feeling a death was right around the corner. And not one of the random cops that worked for Dawn whose names I never could really remember; Cop 1, Creepy Cop, That Other Cop, etc. With an episode title of “Coda” and plenty of focus on monologuing for her character during the hour, I wasn’t really surprised that Beth met her end. But it seemed like such a stupid move to stab Dawn. What did she think would happen? I know she was pissed Dawn had broken the deal; had done all kinds of stuff while Beth was in the hospital, and it was a final act for Beth to stand up and take Dawn out once and for all – but couldn’t they have just mounted another attack to rescue Noah later? You know, not when they're all in a claustrophobic hallway that could easily get everyone killed with one wrong move. I was a little surprised the whole moment didn’t escalate even further rather than the quick "everybody stop" after Dawn’s death. Beth’s death was sad, sure, but really, I was most affected by Daryl’s reaction to her death. There was a far more emotional resonance in seeing Daryl take action and instantly shoot Dawn or carrying Beth’s body outside. It allowed the final moments of the hour to have a greater tragic moment as the group came together. I’ll certainly give credit to the series allowing Beth to grow since we first saw her in The Walking Dead Season 2; that background character who liked to sing and was related to Maggie. Beth managed to become much stronger and grow as the series progressed, affecting characters like Daryl, and becoming someone whose story I was curious to see play out. It’s tragic her reunion with Rick and the survivors was so short lived. Certainly, that hallway scene (what with all the crooked angles) for the trade was intense, but it felt like the rest of the hour took its time in even getting anywhere. The whole Father Gabriel thing running around and returning to Michonne, Carl and Judith? I’m so disinterested in his character that – despite some pretty cool sword kills – I really didn’t care what was going on back at the church. While Rick is someone you definitely don’t mess with (he will run you over and shoot you), and I liked the visual of him proposing the trade (not bad looking tough and having your gang of snipers around you), getting the trade in motion seemed like it lasted forever. I felt like the hour was taking its sweet time before it realized it only had about 10 minutes left and needed to speed things up before it ended. I guess I’m glad that there was no cliffhanger that would have dragged out the hospital story arc into 2015. I've been ready to move on from there. But the mini snippet of Morgan following the survivors has me excited to see his story intersect with Rick and company. His moment was so small, but it's the one that had me really interested to see what’s next. While Beth’s death was a major one, and there were some solid moments, this episode unfortunately meandered about until it rushed things at the end. 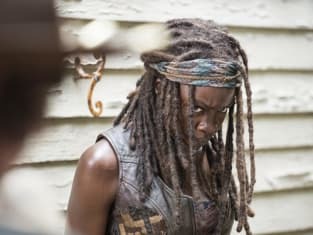 The midseason finale didn’t quite hold onto that strong start the The Walking Dead Season 5 initiated, but I guess we'll just have to hope the latter half will make up for it and it will finish out on a high note. It really does make me wonder what's next and where the story of The Walking Dead (a tale with seemingly no endgame in sight) goes from here. Heck, will the group ever get out of Georgia or is that just a hopeless wish? What did you think? 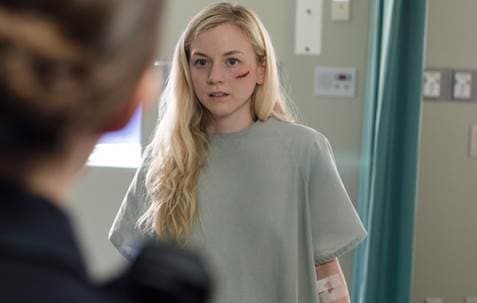 Were you shocked to see Beth die? Where will the series go after this? See every dramatic moment this season when you watch The Walking Dead online.